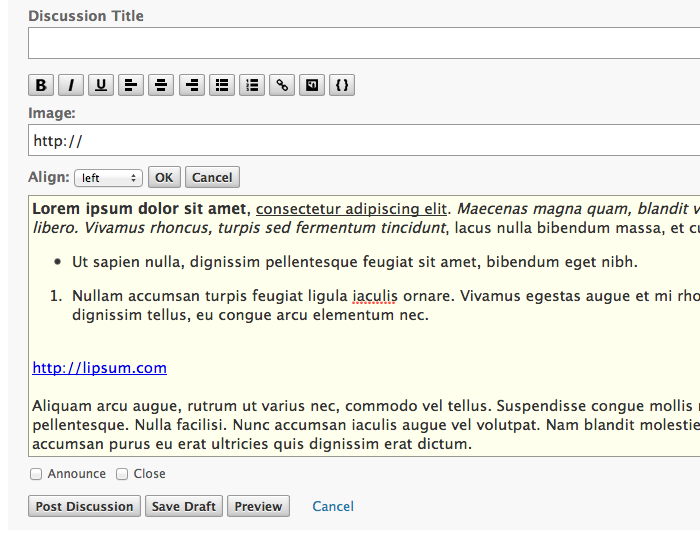 Turns the default text area into an HTML5 editor that generates valid and semantic markup. Besides that, it's compatible with all major browsers and degrades gracefully to a normal textarea on unsupported browsers. You won't find a more useful WYSIWYG editor! If you come across any bugs or if you have a feature request, please file an issue using the GitHub Issue tracker. Wysihtml5 for Vanilla won't be supported through http://vanillaforums.org so please stick to using GitHub for inquiries about bugs and feature requests. Thanks! Wysihtml5 2.0.1 where are the buttons? 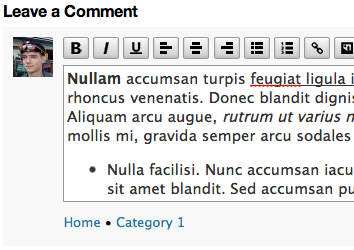 Resize Comment Box with WYSIHTML5? Wysihtml5 won't install in plugin area. How Can I use Wysihtml5 with Quotes? How to Make it Work with Comments Embed? What makes it incompatible with Vanilla 2.0? How did you get this image link feature to show up? What wysiwyg library does this use? 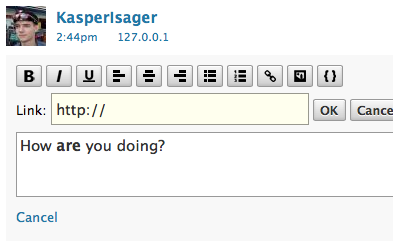 Can I simply replace wysihtml5 with CLEditor?